This is a guide how to install Naemon 0.8.0 on CentOS 6.5 64-bit system. 32-bit packages are also available, just change download links bellow. This instructions are created with CentOS minimal installation in mind, some packages may already exist if you have any other kind of installation. Thanks, It took a while for me to see your comment. Sorry about that. Thanks for taking the time to read my suggestions. This is probably easier that what I suggested before. -I (inputs to the) INPUT (chain at line 4) -m(match) state –state NEW -m tcp -p(port) –dport (destination port) 80 -j ACCEPT. They also fixed /etc/naemon/resource.cfg so you don’t have to do the find replace any more. I would suggest setting the iptables and killing SELinux earlier in the instructions so that Naemon doesn’t complain while installing. It’s not the end of the world but it helps. Yes, this article was written during early days before naemon.org documentation was created and the 0.8 was still under development. I will update the official documentation as well. 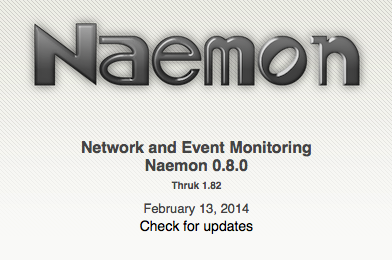 Have you manage to install Naemon on existing Nagios? After installation I cant login to webgui.